Our revolutionary plain red tablecloths combine specially designed fibres with a unique soft touch finishing for a luxurious "cotton-soft" feel. Featuring a number of market leading features including unsurpassed colour retention, superb stain release & minimal shrinkage. There is a science to table linen. Our revolutionary plain red tablecloths combine specially designed fibres with a unique soft touch finishing for a luxurious "cotton-soft" feel. 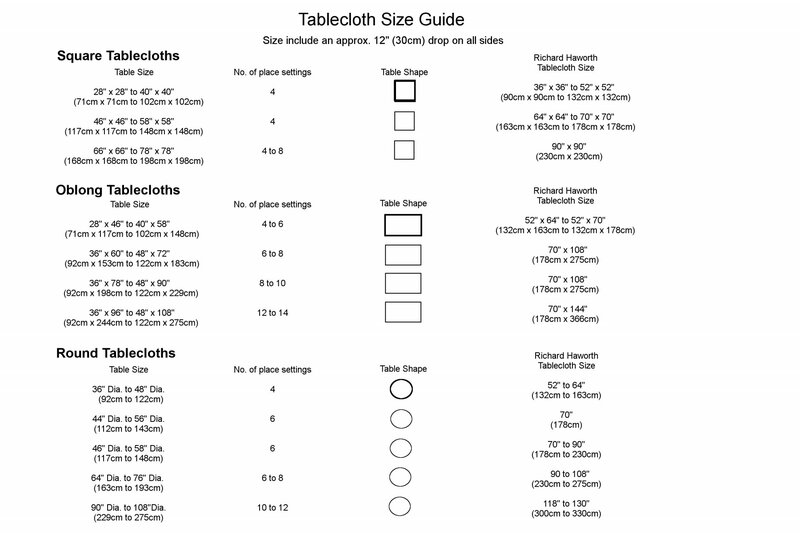 Our unique tablecloths offers unsurpassed colour retention, superb stain release, minimal shrinkage, excellent resistance to snags and outstanding absorbency. It`ll take more than a spilled glass of wine to spoil the occasion. Liked the colours and quality of fabric Our Response Thanks for the 5 star rating! Fantastic material, quality and colour. Our Response Glad you are happy with the quality Charlie! very happy gift received by my friend Our Response Brilliant James hope their table looks great!! Excellent quality - easy to take care off. The colour and quality seems excellent although I haven't yet used it. I will wash the tablecloth first as advised. Good quality and lovely colour. I have washed the tablecloth before use as advised but I haven't used it yet. Lovely red colour, look pretty robust which is what I wanted.